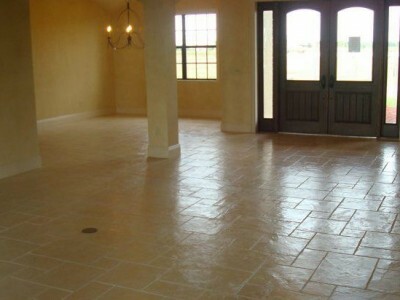 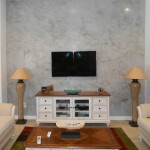 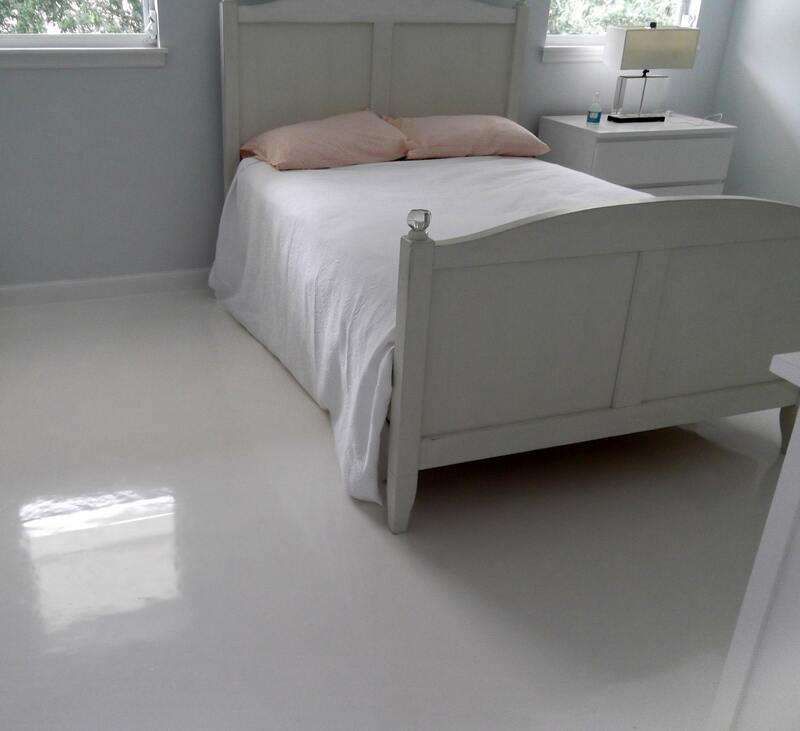 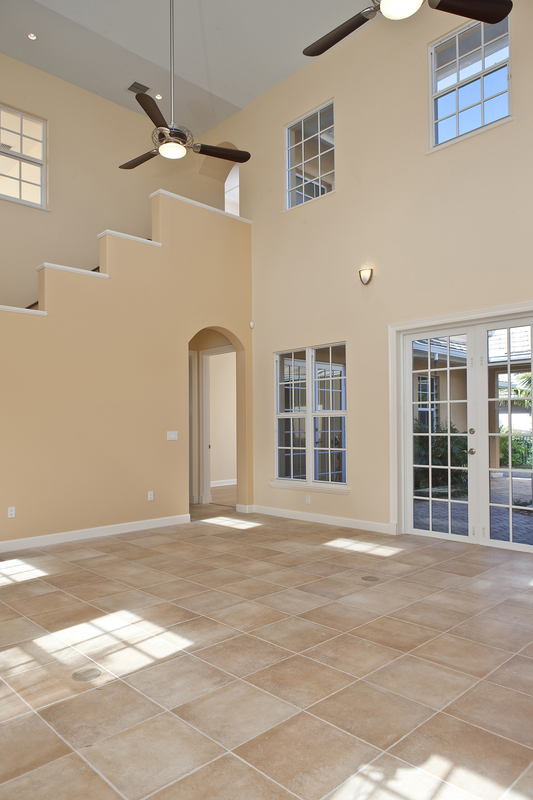 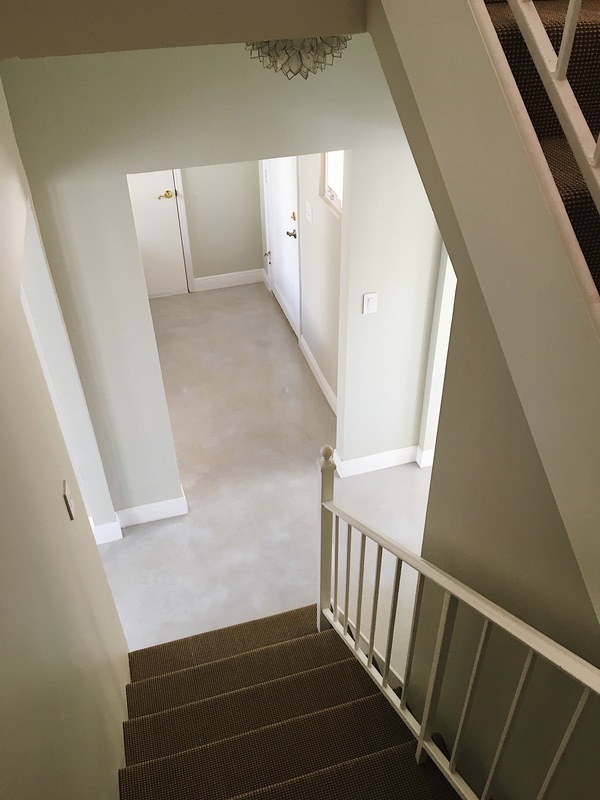 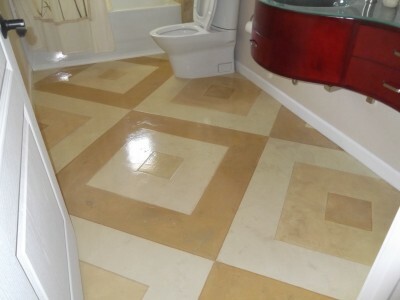 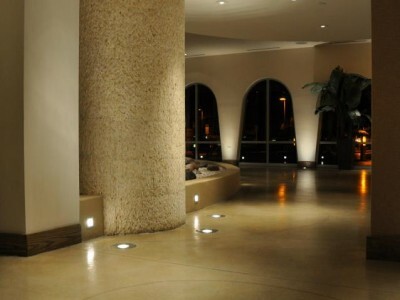 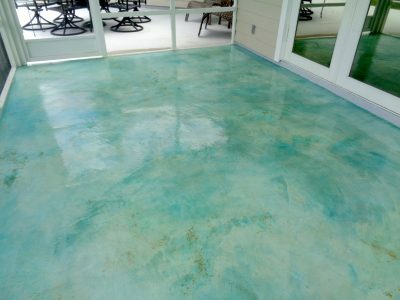 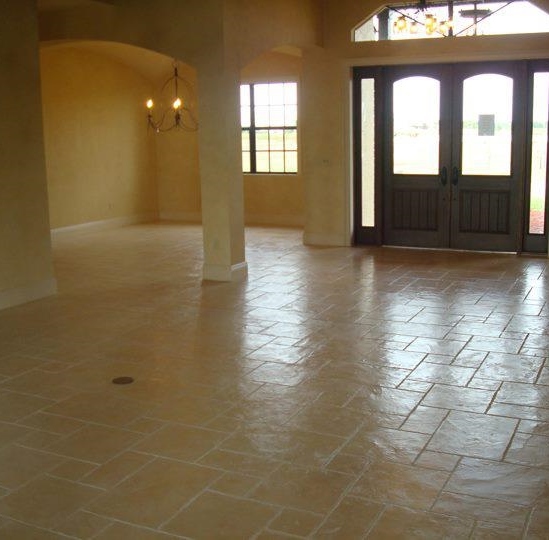 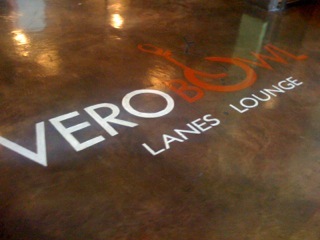 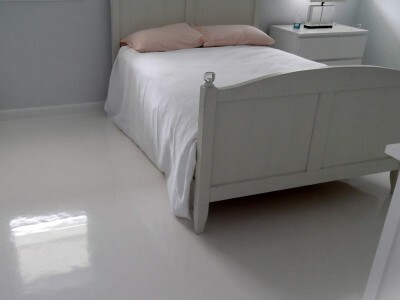 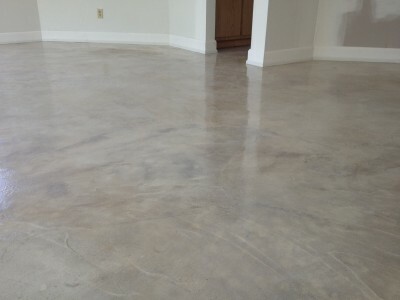 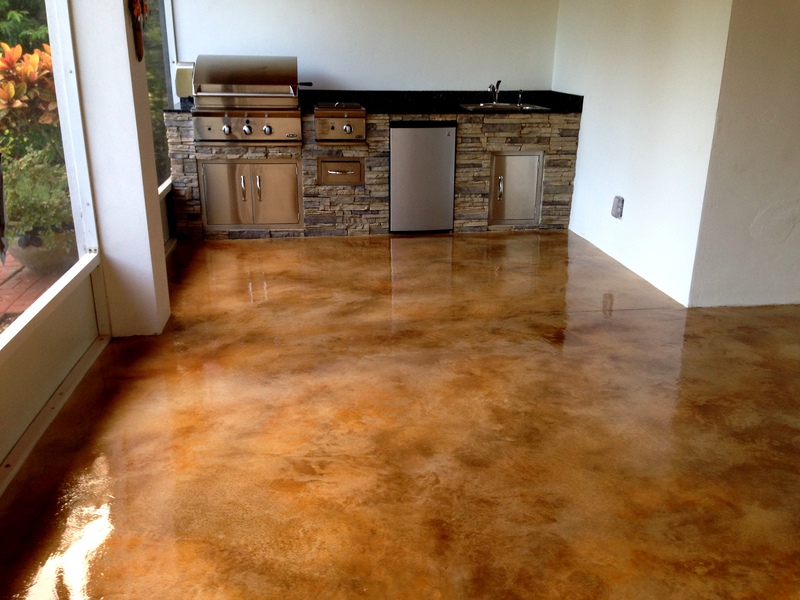 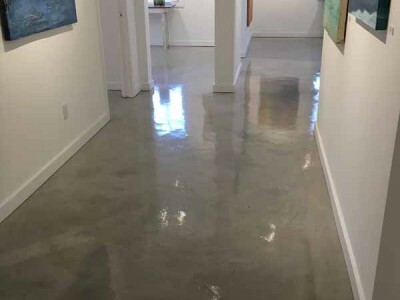 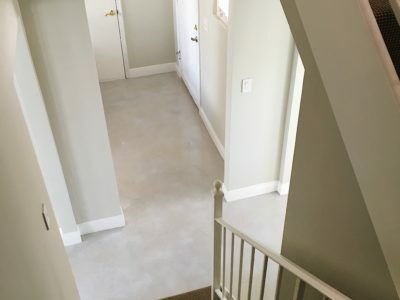 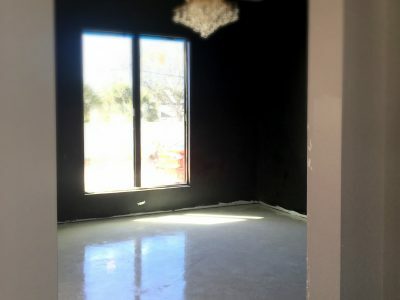 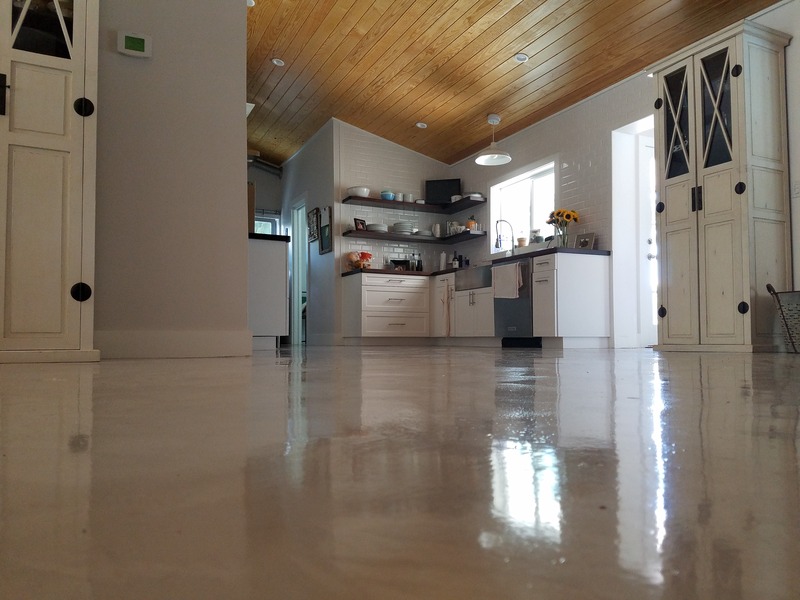 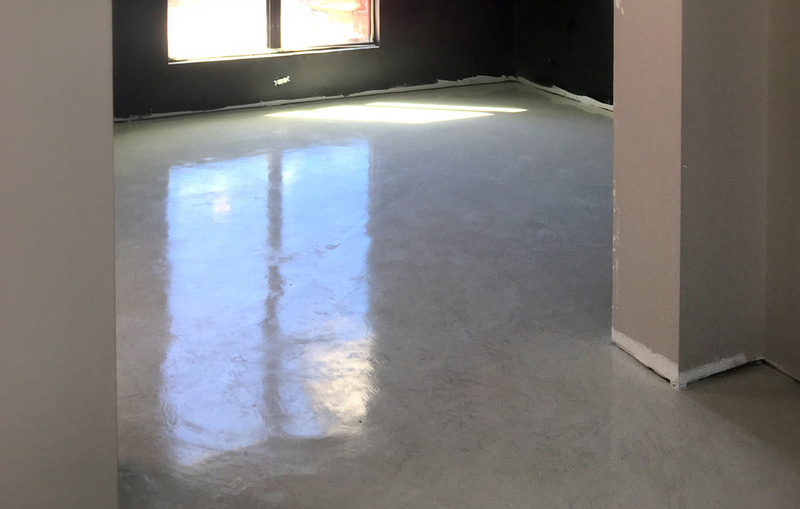 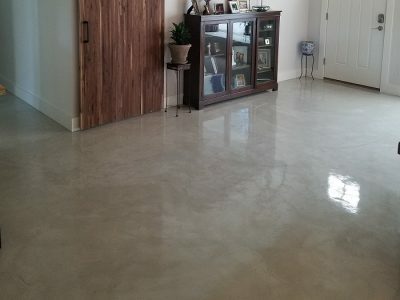 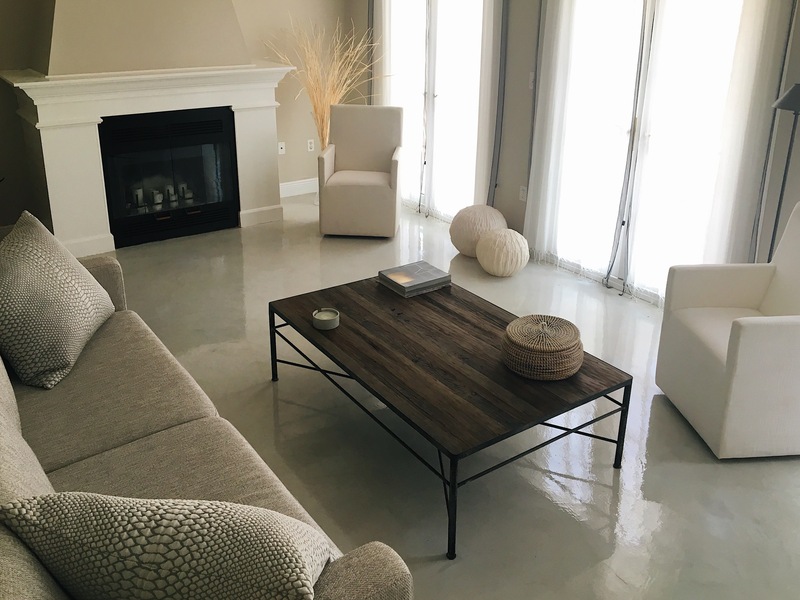 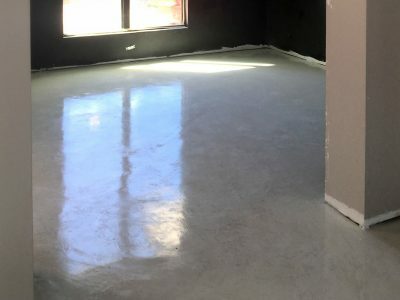 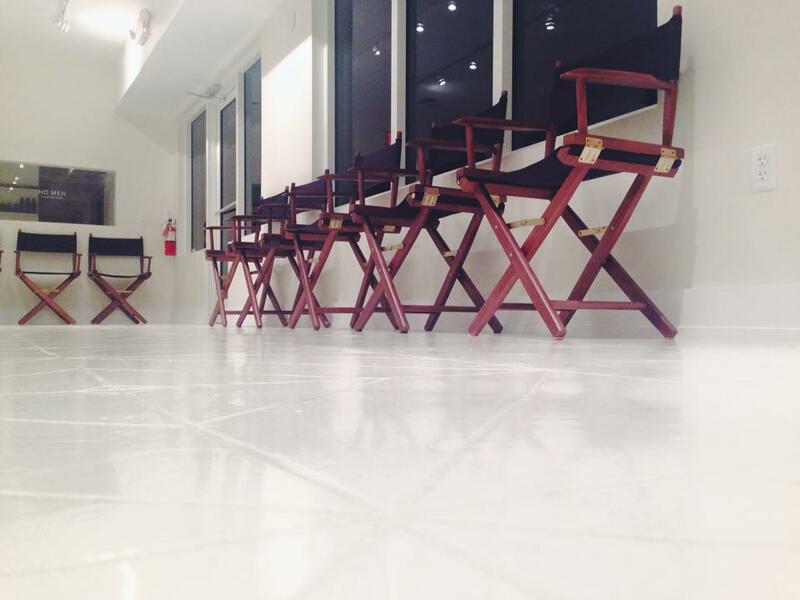 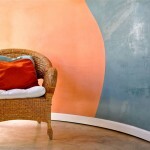 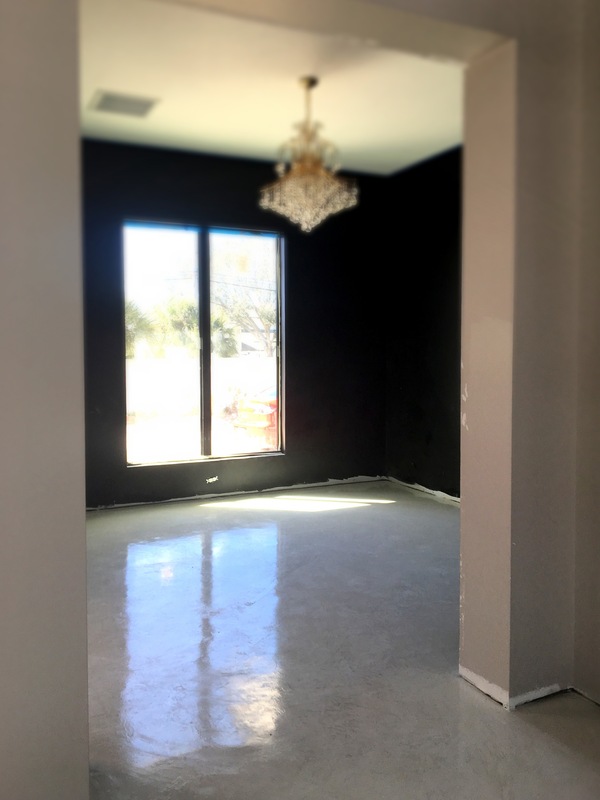 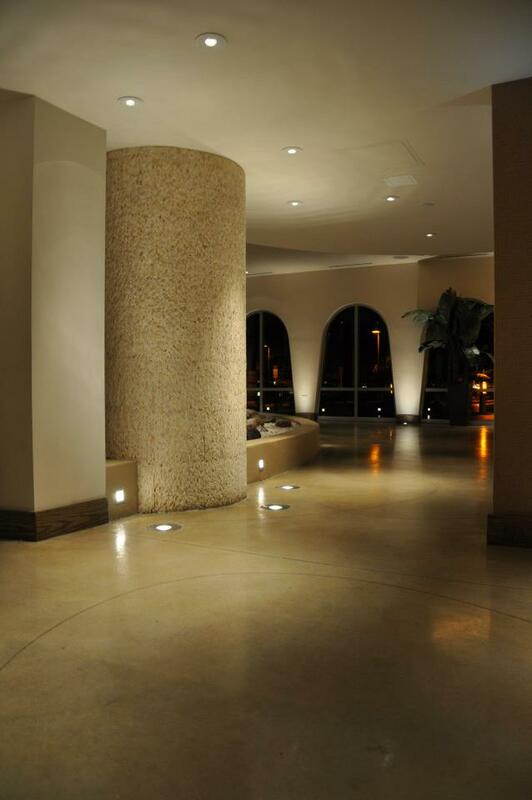 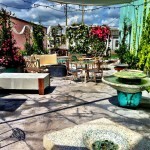 Concrete flooring provides an alluring and minimalist foundation to any room in your home or business. 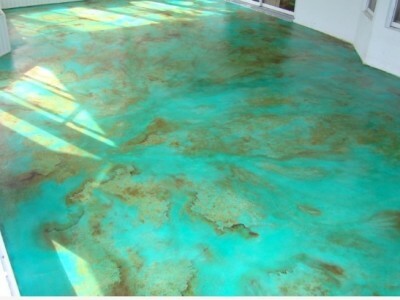 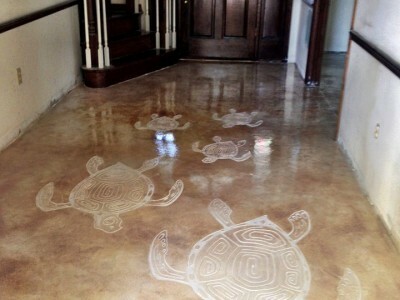 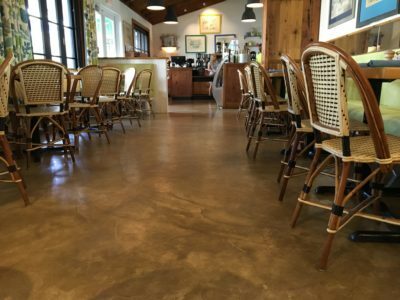 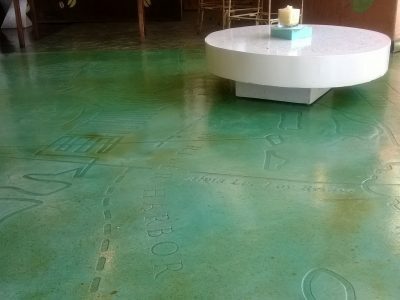 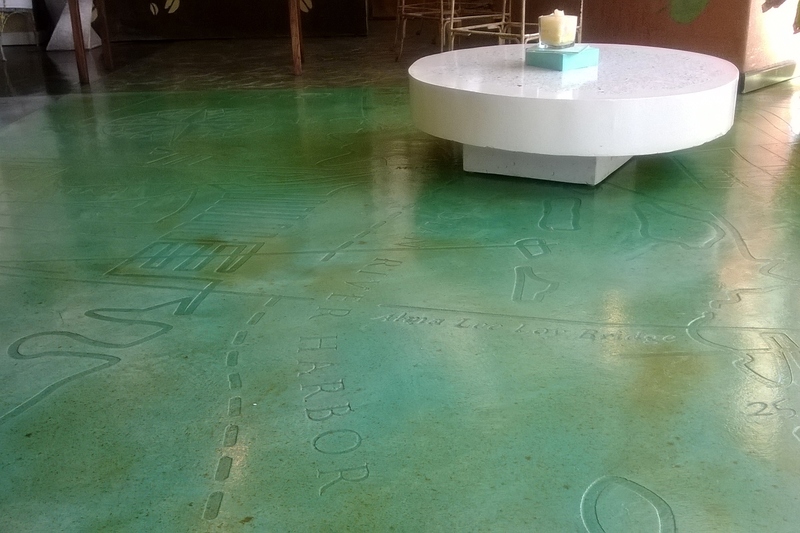 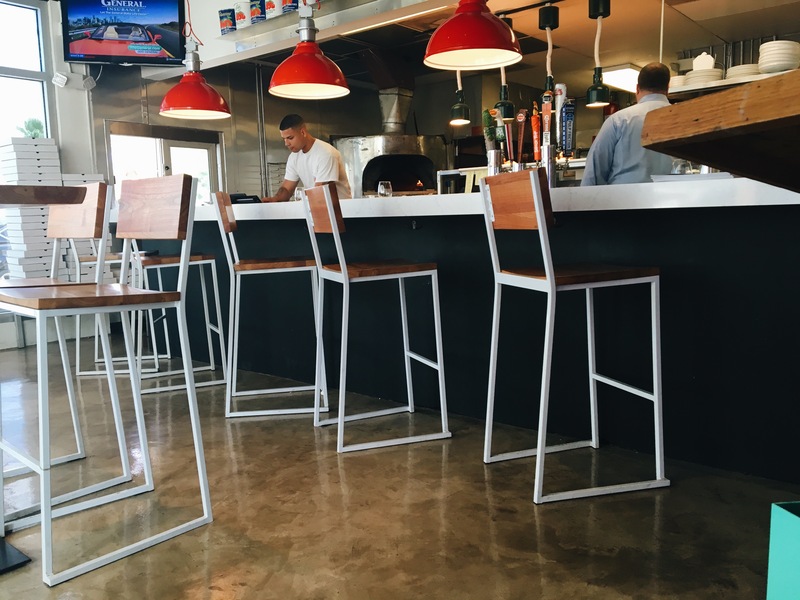 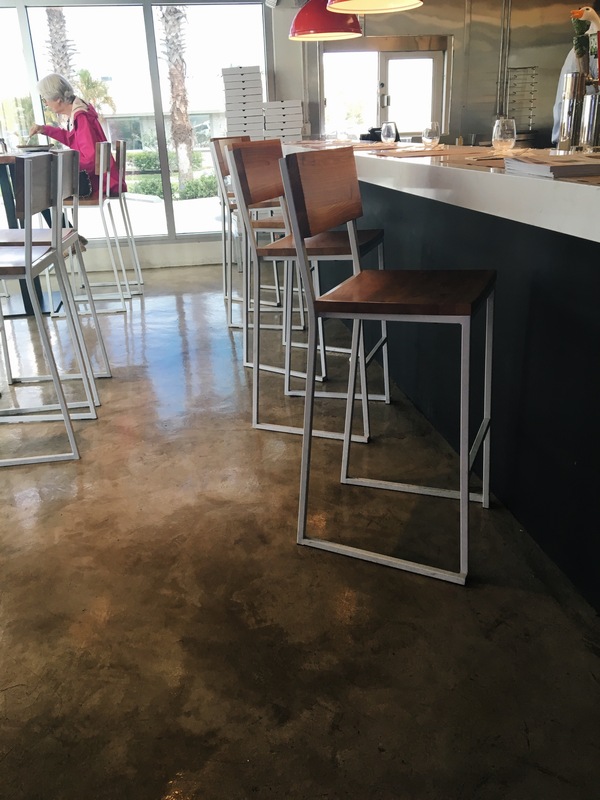 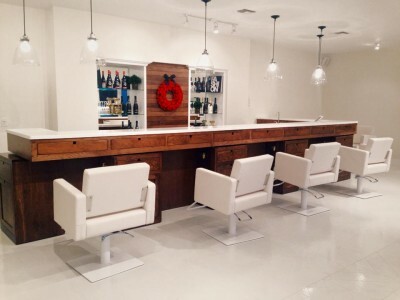 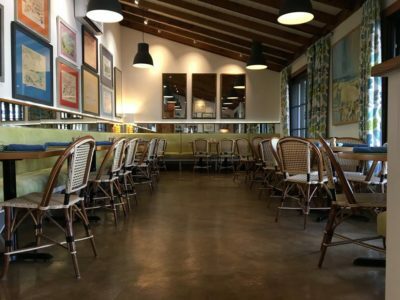 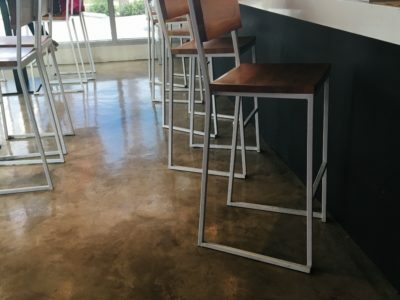 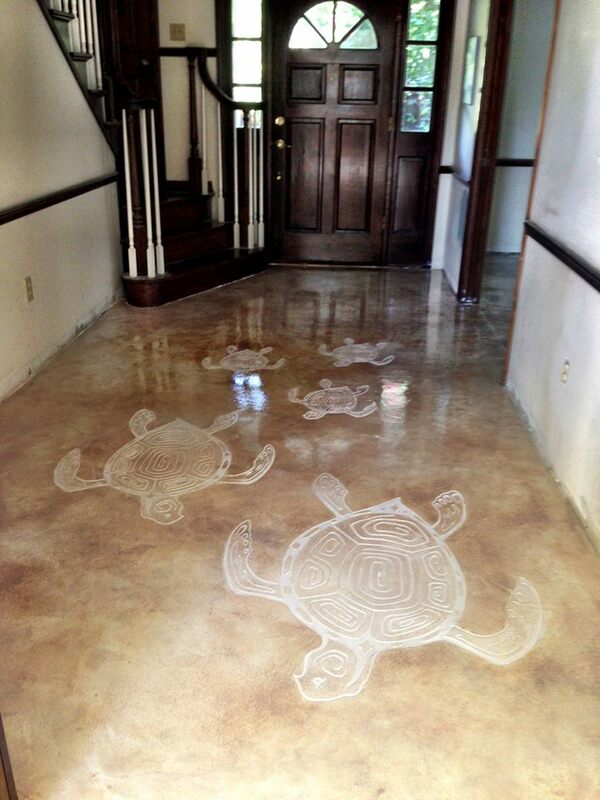 Coulter Designs offers custom concrete interior flooring including acid-stained, inlay designed, color-integrated, or a customizable graphic design. 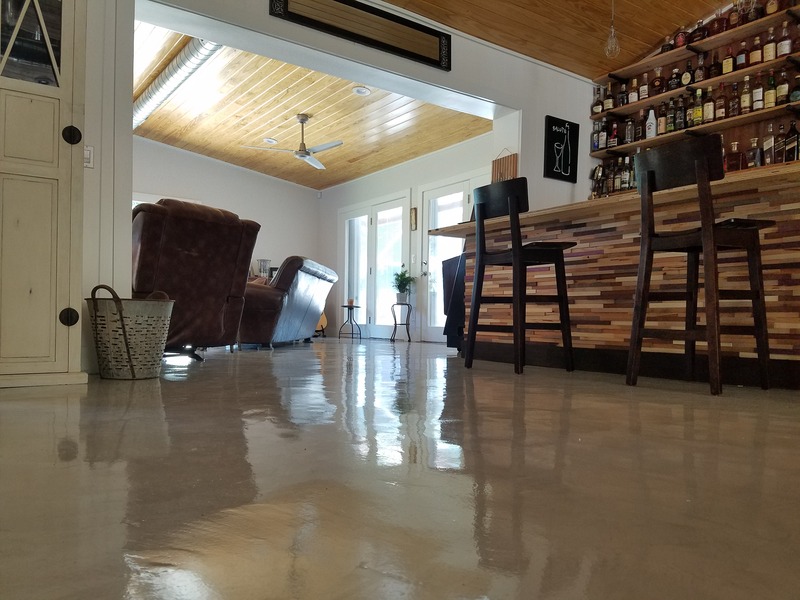 If you are looking for your flooring to be the central focus of a room, consider terrazzo, acid-stained, or a graphic inlay design to truly make a bold and dramatic statement. 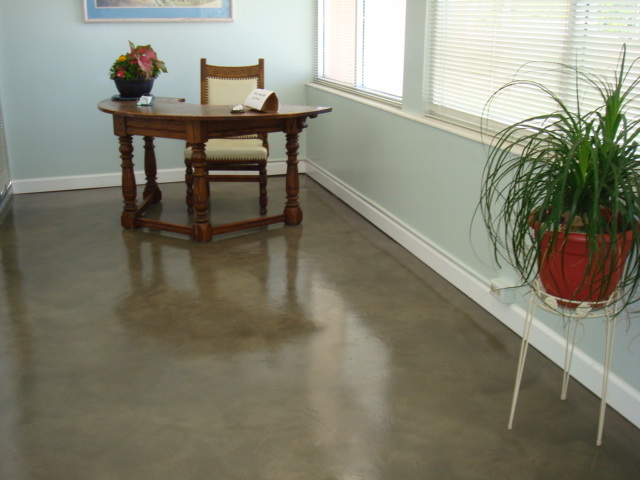 Alternatively, traditional colored concrete can complement furniture and wall decoration to add to the overall ambiance of a room. 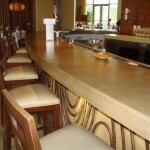 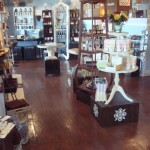 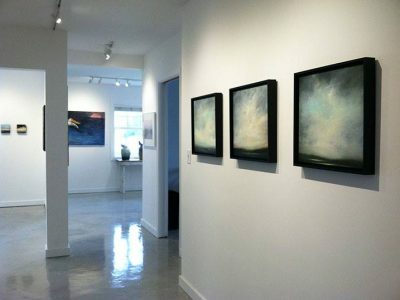 Whatever your desire, Coulter Designs’ artisan collaborates with each client to create their dream space. 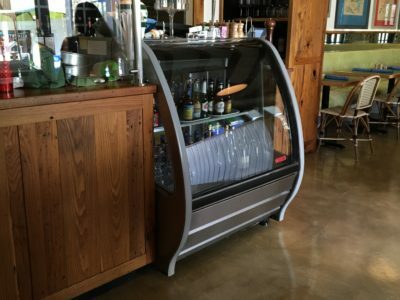 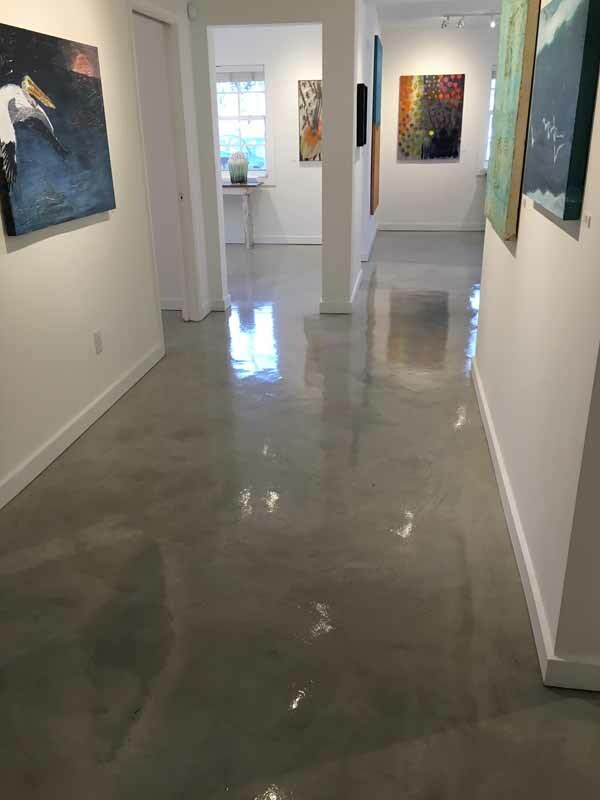 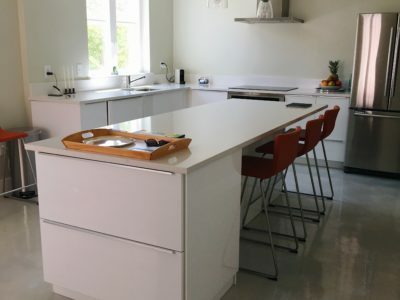 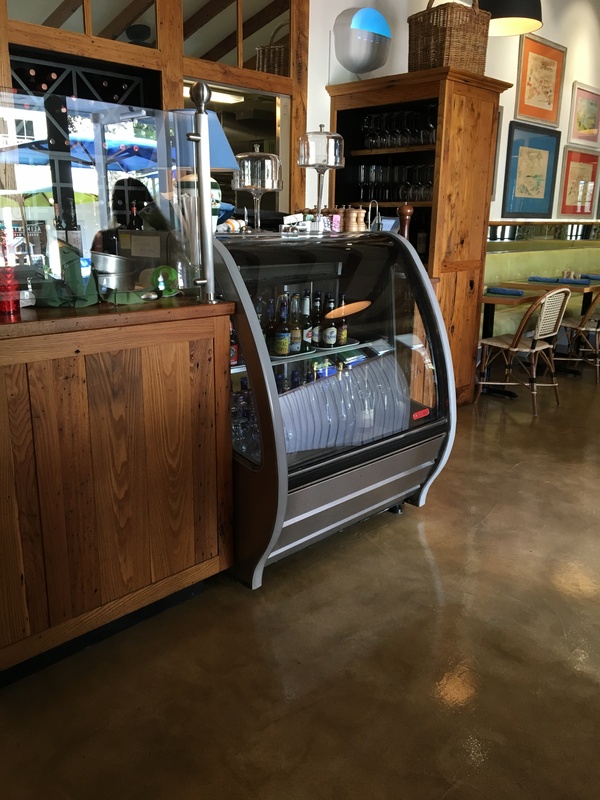 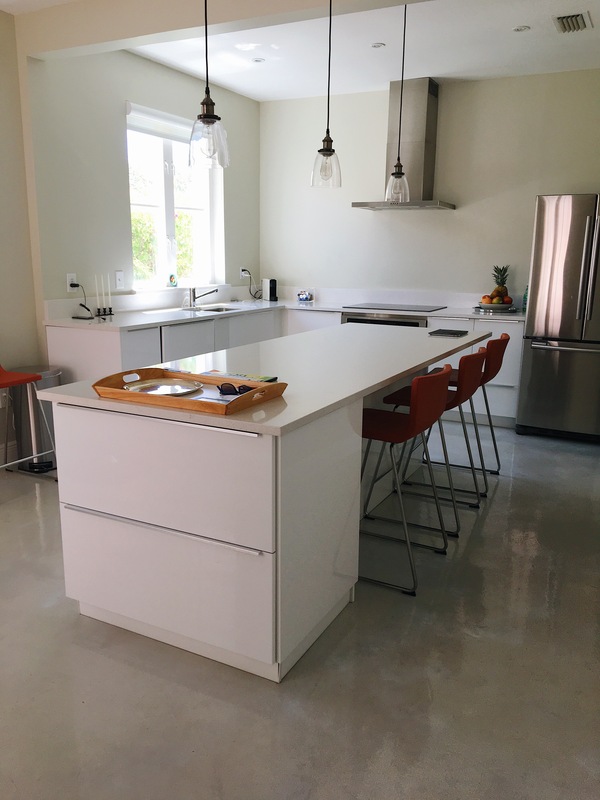 Additionally, the strength and durability of Coulter Designs’ concrete overlays are such that your home or business’ flooring will last for years to come with minimal to no maintenance. 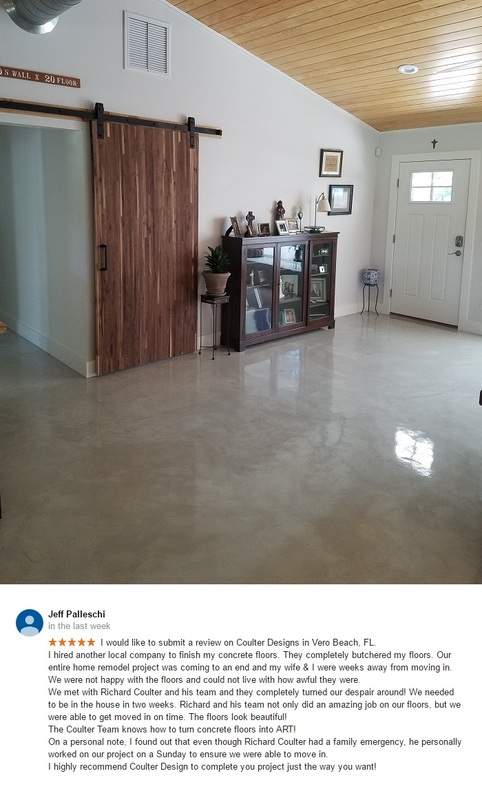 For more information related to interior flooring design possibilities, please visit our design gallery located in Vero Beach!